With 7 years of watching millions of people select recipes on GrillingCompanion.com we’re predicting what will be grilled in backyards of the top grilling cities across the country this summer. Our top 10 grillmaster cities are cooking up some serious deliciousness, OK top 11, because we want to include our hometown. Based on which recipes these cities have used in the past on GrillingCompanion.com and from the Grill-It! App, we give it 85.3% accuracy on predictability! Coming in with 30% of all recipe views, we have determined that everyone’s absolutely summertime favorite is our how to grill a hamburger recipe. 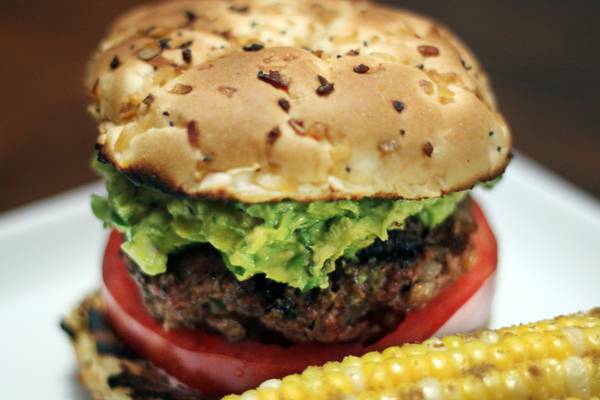 We don’t blame them, not only is this a true American classic, this is the best-grilled hamburger we’ve ever eaten. The second place recipe in each city matches the city’s personalities quite nicely. Here are the cities and their recipes in order of visits to GrillingCompanion.com. 1. New York, Grilling Filet Mignon – Just like the Big Apple, this fine piece of meat can seem intimidating but in reality is something to be enjoyed for its richness and excellence. 2. Chicago, Grilled Chicken Breast – We know what you’re thinking, grilled chicken? That seems so simple. Sometimes, like this incredible city, a good foundation for culinary innovation is just what makes dishes unforgettable. 3. Los Angeles, Tri Tip Roast on the Grill– A diverse cut of beef, the Tri Tip recipe is a city favorite to Los Angeles. Given the beef’s reputation for being one of the most tasty cuts, this recipe is actually inspired by our friends from California who have dubbed this the “Santa Maria Steak”. 4. Houston, Grilled Ribeye Steak– But of course, where better than the land of barbecue and southern perfection? This delicious hunk of meat allows for easy execution, err on the side of rare and sear that steer over high heat! 5. Atlanta, Grilled Chicken Wings– Southern style, perfect for a Falcons or Braves tailgate. Nothing could go better than a cold beverage and some grilled-to-perfection chicken wings. 6. Seattle, Grilling Lobster Tails– Hey Seattle, your secrets safe with us! It’s a long way for those lobsters to travel from Maine to Seattle. But what a perfect way to impress your guests! 7. Calgary, Grilled Pork Tenderloin– The other white meat proves to be particularly popular in this location. Not only do we happen to love this recipe too but we happen to think that grilled perfectly, this is the ONLY white meat we need. 8. San Francisco, Grilled New York Strip Steak– Isn’t it ironic? You techies☺ We always knew you liked the east coast style. 9. Denver, Top Sirloin on the Grill– Perfectly grilled steak, add a side potato? The perfect Midwest meal that is simple and flavorful for all to enjoy. 10. San Diego, How to Grill Lamb Chops– Just like San Diego, it is easy to fall in love quickly with perfectly grilled chops. These may be expensive but so worth every bite. 11. Tampa, Blackened Grouper on the Grill– Our hometown! We must admit, the early morning wake up call to go fishing was not always cheerful but we sure do have some great memories and great meals that we have shared. It’s delicious and the best part? It is a versatile fish that you can blacken (our personal favorite) or keep simple with some lemon, butter, and salt and pepper. We look forward to joining you and your loved ones at the grill this summer through Grilling Companion!